This fifth edition gives an overview of the entire process of Elections beginning with Delimitation of Constituencies to the Power of Recall. It also provides a detailed and critical analysis of issues such as Qualifications and Disqualifications, Election expenditure, Corrupt Practices, Electoral Offences, Right to Information; Election Procedures from the highest constitutional office of the President of India to the Panchayats and Municipalities. 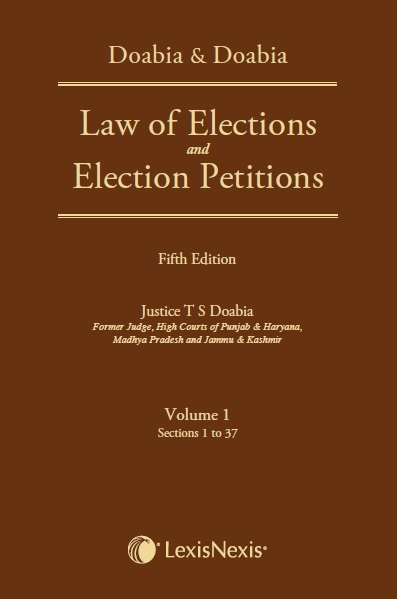 The most outstanding and a unique feature of the book is the incorporation of chapters covering the procedural aspects relating to Election Petitions including drafting, presentation, pleadings, reliefs that can be granted, limitation and costs. A new chapter highlighting the various relevant provisions of the Constitution of India has also been added in this revised edition. This edition has been extensively and meticulously revised taking into account the changes brought about by recent legislative amendments as well as judgments of constitutional courts. All latest landmark cases as well as legislative amendments have been covered in this revised edition. Important relevant Acts and Rules have been provided in the form of Appendices at the end of the commentary. An exhaustive subject index and a table of cases add to the utility of this work. The book is a standard and an exhaustive reference for judges, lawyers, scholars, legislators, social scientists, administrators and law libraries.